I was so inspired last week by the burlap wreaths that Sharon from Elizabeth & Co. created that I had to make one! 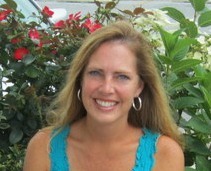 Sharon has been nicknamed "The Queen of Wreaths" and if you check out her blog you will see why. I just happened to see her Spring wreath post a few hours before I was heading to Michaels. Talk about perfect timing! I picked up a 16" wire wreath form, two 10 yard rolls of burlap ribbon and a mixture of faux flowers. I already had floral wire, hot glue and a nest and eggs in my craft stash. Did I mention - everything I needed was on sale!!!! 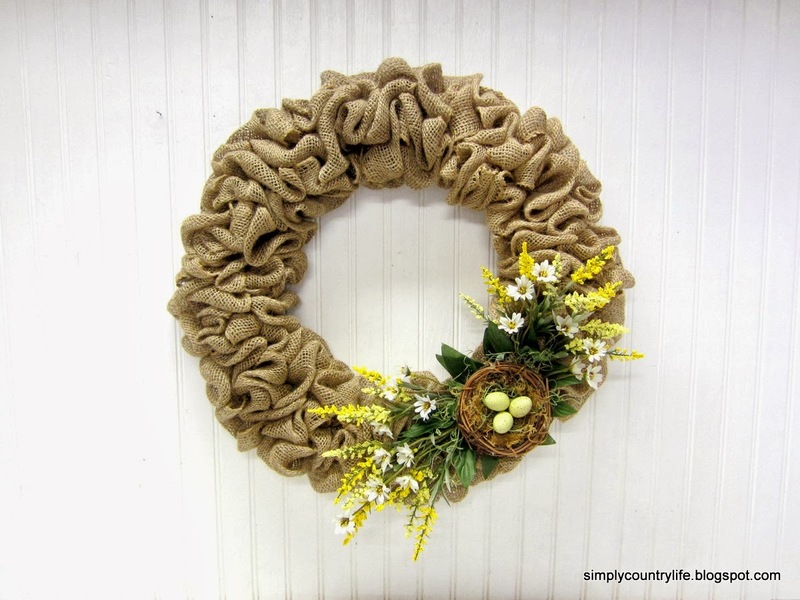 I followed Sharons instructions on how to create the burlap wreath. Like I said, I used a 16" wire wreath form. I made four loops of burlap on each row, in each section. This gave it a full look, which I like. It took just over 15 yards of the burlap ribbon. Next, I wired the grouping to the right of the nest to the wreath form first. Then I wired the grouping on the left of the nest to the wreath form. then hot glued the moss and eggs to the nest. I love how it turned out and I plan to make many more. This one is for sale in my Etsy shop and I'm sure I'll be listing more wreaths soon. I will be participating in my first open market this Spring. It is local to my home in Landrum, SC. I think a variety of these wreaths will be a nice addition to that sale. Any advice on setting up a booth at an outdoor Spring market? maybe if we all dream of Spring time it will hurry up and get here! I love your wreath Adina! Wasn't it fun to make? I'm honored that you found inspiration at Elizabeth & Co.! Thank you Sharon! It was fun to make. I'm going to head back to the craft store tomorrow to get supplies to make a few more. Very different type of wreath, but very pretty and very springy. into that burlap look these days. Thank you Nellie! I hope they sell well. Burlap is definitely popular right now. Having fun making different variations of them.